Dr. Suster graduated medical school at the Catholic University School of Medicine in Guayaquil, Ecuador. He took his initial training in anatomic pathology at the University of Tel-Aviv Sackler School of Medicine and the Chaim Sheba Medical Center, Tel-Hashomer, Israel. He immigrated to the United States in 1984 and took his residency training in combined Anatomic and Clinical Pathology at the Mount Sinai Medical Center of Greater Miami, a teaching hospital affiliated with the University of Miami School of Medicine, under the supervision of Dr. Arkadi M. Rywlin. This was followed by a 2-year Fellowship in Research and Surgical Pathology at the Yale University School of Medicine, New Haven, CT, under the supervision of Dr. Juan Rosai. Upon completion of his training, Dr. Suster joined the pathology department at the Mount Sinai Medical Center of Greater Miami in 1990 as Director of the Surgical Pathology, Immunohistochemistry and Electron Microscopy Labs, and was appointed Clinical Professor of Pathology at the University of Miami School of Medicine. In 1998, Dr. Suster was appointed Professor and Vice-Chair, and Director of Anatomic Pathology services for the Ohio State University Hospitals and the Arthur G. James Comprehensive Cancer Center in Columbus, OH. In 2007, Dr. Suster was appointed Professor and Chairman, Department of Pathology & Laboratory Services at the Medical College of Wisconsin. Dr. Suster is the author of more than 300 publications, 26 book chapters, and serves as an editor for the textbook Modern Surgical Pathology (W.B. Saunders, Co). 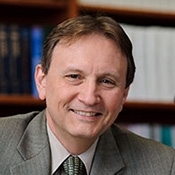 He is a member of the editorial board of several major peer-review journals in the specialty, including the American Journal of Surgical Pathology, the American Journal of Clinical Pathology, the American Journal of Dermatopathology, Archives of Pathology & Laboratory Medicine, Advances in Anatomic Pathology and Seminars in Diagnostic Pathology. He is also one of the founders and Chief Editor of the Annals of Diagnostic Pathology. Dr. Suster has served in committee and leadership positions in major national and international pathology societies, including the United States and Canadian Academy of Pathology, the College of American Pathologists, the American Society for Clinical Pathologists, and others. Dr. Suster's main research interest is in thoracic pathology, including tumors of the lung, pleura and mediastinum, as well as the pathology of tumors of soft tissue, thyroid, skin and other organs. Trpkov K, Hes O, Bonert M, Lopez JI, Bonsib SM, Nesi G, Comperat E, Sibony M, Berney DM, Martinek P, Bulimbasic S, Suster S, Sangoi A, Yilmaz A, Higgins JP, Zhou M, Gill AJ, Przybycin CG, Magi-Galluzzi C, McKenney JK. Eosinophilic, Solid, and Cystic Renal Cell Carcinoma: Clinicopathologic Study of 16 Unique, Sporadic Neoplasms Occurring in Women. Am J Surg Pathol. 2016 Jan;40(1):60-71. Weissferdt A, Tang X, Suster S, Wistuba II, Moran CA. Pleuropulmonary Meningothelial Proliferations: Evidence for a Common Histogenesis. Am J Surg Pathol. 2015 Dec;39(12):1673-8. Xia S, Huang CC, Le M, Dittmar R, Du M, Yuan T, Guo Y, Wang Y, Wang X, Tsai S, Suster S, Mackinnon AC, Wang L. Genomic variations in plasma cell free DNA differentiate early stage lung cancers from normal controls. Lung Cancer. 2015 Oct;90(1):78-84. Harding-Jackson N, Sangueza M, Mackinnon A, Suster S, Plaza JA. Spindle Cell Atypical Fibroxanthoma: Myofibroblastic Differentiation Represents a Diagnostic Pitfall in This Variant of AFX. Am J Dermatopathol. 2015 Jul;37(7):509-14; quiz 515-6. De Pellegrin A, Luzar B, Suster S, Falconieri G. Selected cases from the Arkadi M. Rywlin international pathology slide series: granular cell nevus of congenital type: a melanocytic proliferation exhibiting distinct morphologic, immunohistochemical, and ultrastructural features. Adv Anat Pathol. 2015 Jul;22(4):273-7. Ortega P, Suster D, Falconieri G, Zambrano E, Moran CA, Morrison C, Suster S. Liposarcomas of the posterior mediastinum: clinicopathologic study of 18 cases. Mod Pathol. 2015 May;28(5):721-31. Petersson F, Branzovsky J, Martinek P, Korabecna M, Kruslin B, Hora M, Peckova K, Bauleth K, Pivovarcikova K, Michal M, Svajdler M, Sperga M, Bulimbasic S, Leroy X, Rychly B, Trivunic S, Kokoskova B, Rotterova P, Podhola M, Suster S, Hes O. The leiomyomatous stroma in renal cell carcinomas is polyclonal and not part of the neoplastic process. Virchows Arch. 2014 Jul;465(1):89-96. Plaza JA, De Stefano D, Suster S, Prieto VG, Kacerovska D, Michal M, Sangueza M, Kazakov DV. Intradermal spitz nevi: a rare subtype of spitz nevi analyzed in a clinicopathologic study of 74 cases. Am J Dermatopathol. 2014 Apr;36(4):283-94; quiz 295-7. Plaza JA, Requena L, Kazakov DV, Vega E, Kacerovska D, Reyes G, Michal M, Suster S, Sangueza M. Verrucous localized lymphedema of genital areas: clinicopathologic report of 18 cases of this rare entity. J Am Acad Dermatol. 2014 Aug;71(2):320-6. Plaza JA, Kacerovska D, Sangueza M, Schieke S, Buonaccorsi N, Suster S, Kazakov DV. Can cutaneous low-grade B-cell lymphoma transform into primary cutaneous diffuse large B-cell lymphoma? An immunohistochemical study of 82 cases. Am J Dermatopathol. 2014 Jun;36(6):478-82. Marchevsky A, Marx A, Strobel P, Suster S, Venuta F, Marino M, Yousem S, Zakowski M, International Thymic Malignancy Interest Group. [Policies and reporting guidelines for small biopsy specimens of mediastinal masses]. Zhongguo Fei Ai Za Zhi. 2014 Feb;17(2):104-9. Detterbeck FC, Moran C, Huang J, Suster S, Walsh G, Kaiser L, Wick M. [Which way is up? Policies and procedures for surgeons and pathologists regarding resection specimens of thymic malignancy]. Zhongguo Fei Ai Za Zhi. 2014 Feb;17(2):95-103.